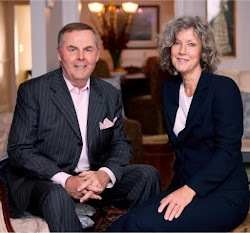 Coming next week - Mother’s Day events and Doors Open Toronto. 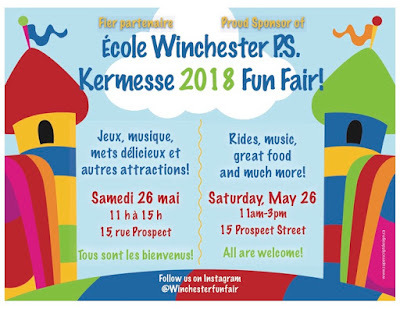 At 10 am, the neighbourhood parade starts in Riverdale Park (Winchester and Sumach) and marches through the neighbourhood. The fun starts at 11 am in Wellesley Park (east end of Wellesley Street). Games and activities for the whole family include a bean bag toss, parachute games, pinatas, crafts, a photo booth and face painting for the kids. Blooming Flower Bar is making flower crowns for everyone. There’ll be a glitter tattoo station for kids by Buds & Blossoms and a bike tuneup booth by Cycle Solutions. Pizza Pizza is bringing its popular bouncy castle. 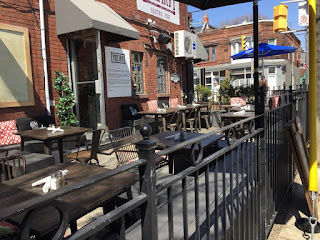 Stout Irish Pub is again managing the beer garden and offering beer and wine. St Jamestown Steak & Chops is handling the bbq and M.W.M. Fish Co is setting up an oyster bar. Scott Dietrich is back with his magic performance. There’s a mechanical raccoon ride. The Heavyweights Brass Band will lead the parade. The raffle prizes are terrific! 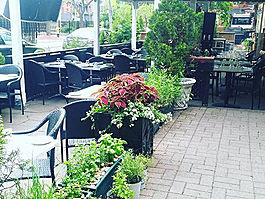 There’s everything from Cabbagetown tees, pillows and towels to classes at Buds & Blossoms, a free walking tour package for ten, free tickets to the Garden Tour, a full dance program at CCDT’s Summer Arts, a Hotwalk kids’ bike from Cycle Solutions, brunches at F’Amelia, an hour-long massage by Claudia Salzmann and another by Laurie Ward, personal oyster tastings by M.W.M. Fish Co, dinner certificates from Peartree and Salt & Tobacco, gift certificates from Spruce, Mi Casa and Labour of Love, passes to Jennifer Snowdon’s yoga classes, free food from Clovercroft farms and a gift basket from the Epicure Shop. Across Toronto, thousands of people will walk through landmarks, neighbourhoods, ravines and business districts to gain a unique perspective on their city. 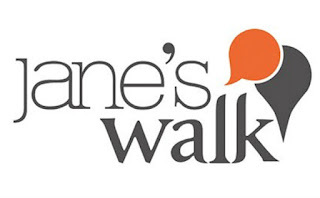 Several of these walks happen in Cabbagetown, Corktown and the Don Valley. 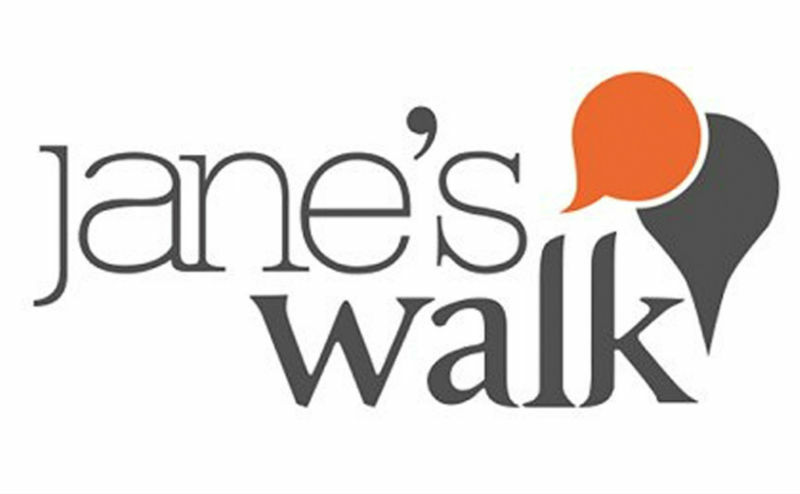 For a full listing, visit the Jane’s Walk website. 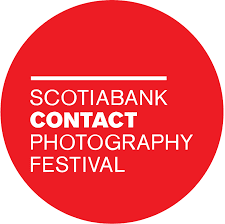 The Scotiabank CONTACT Photography Festival is the largest photography event in the world and a premiere cultural experience in Canada, with over 200 exhibitions and happenings throughout the month of May in the Greater Toronto Area. In our neighbourhoods, there’s a public installation in Allan Gardens, two Featured Exhibitions in the Distillery and the Daniels Spectrum and ten Open Exhibitions in local galleries. For a city-wide directory, visit the CONTACT website. 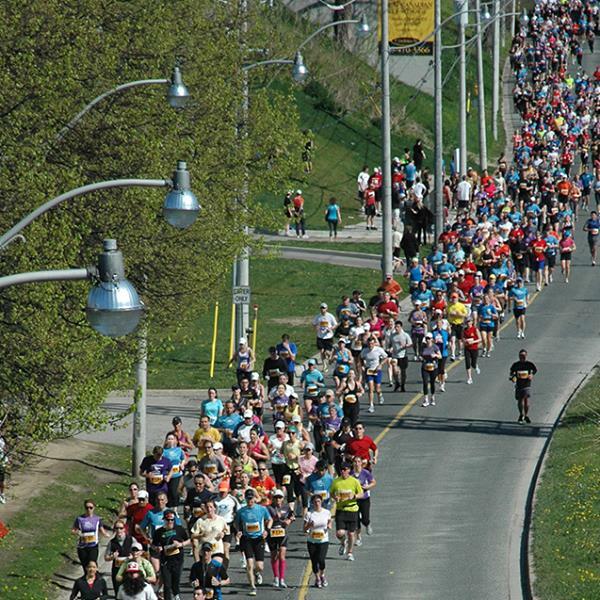 The Marathon passes through our neighbourhood on Sunday May 6. We can expect closures along Rosedale Valley Road (6:30 to 11 am), Bayview, Lower River Street, King Street, Sumach and Eastern (all from 7 to 11 am). Access to Jarvis from the Gardiner Expressway (7 to 10 am) and the Bayview Bloor ramp from the DVP to Bayview southbound (7 am to 3 pm) are closed. 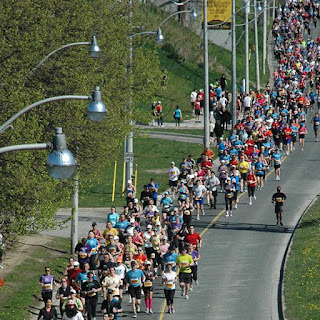 For details, go to the Marathon’s website. The TTC is rebuilding its streetcar tracks at the corner of Gerrard and Parliament. Plan to use a new route to go downtown in late May and early June. The intersection will close for three weeks from 5 am Monday May 14 to 6 am Monday June 4. After June 4, one lane will open in each direction. 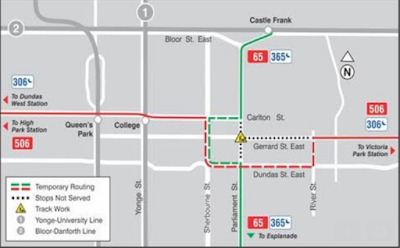 During this time, the 506/306 Carlton Bus and the 65/365 Parliament Bus will each reroute along Carlton, Sherbourne and Dundas. The Carlton Bus will continue along Dundas to River and then go back to Gerrard. 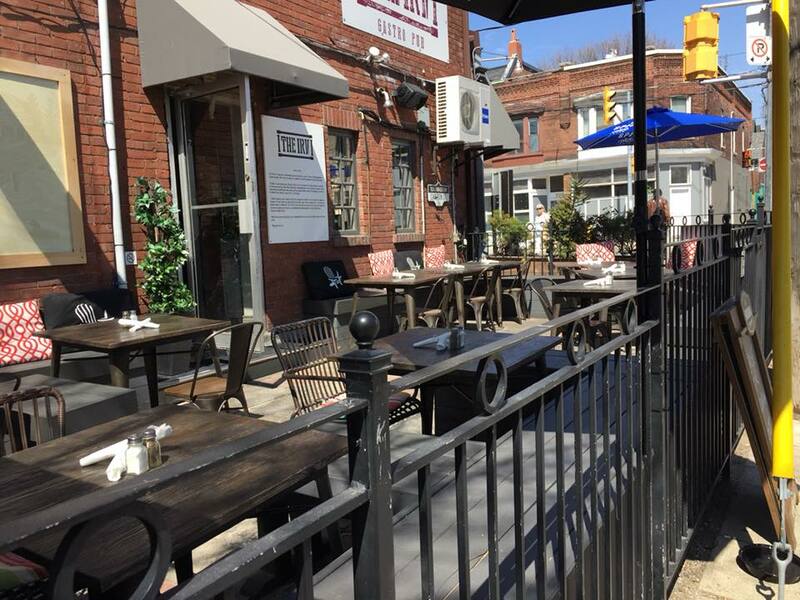 The Cabbagetown BIA and NOW Magazine want to know why your Mom rocks. Deadline is Saturday May 5. Tell your story in 300 words or less and you’ll be entered into the contest. The winner will walk away with a $1300 prize - gift certificates from our local businesses. Find out the contest details and get the entry form online. 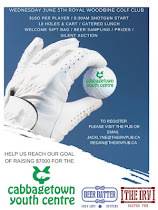 The Association’s annual fundraiser is now underway. Rain barrels are on sale at $55 each (75% less than the retail price). 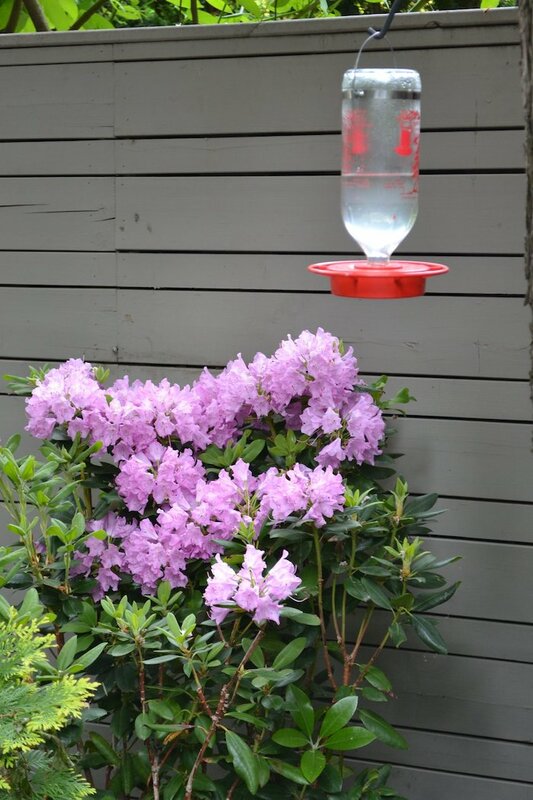 Each sale contributes $10 to the Association for its neighbourhood improvement projects. They’re available in several colours and with various accessories. Place your order online and then pick it up on June 9 from 10 am to noon at 182 Seaton. 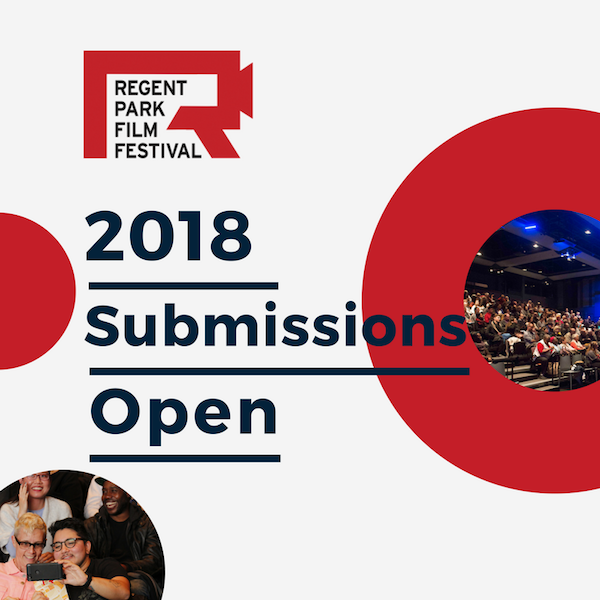 Film makers are invited to send along their works for the 2018 Festival which happens from November 13 to 17. Submission deadline is Sunday May 6. The Submission Form together wth an explanation of the Festival’s procedures is online. Springtime brings babies. Today, a tiny kid nurses at his mama’s teats, two month-old lambs frisk between feedings and puffy chicks peep at the Riverdale Farm. Human babies are being carried and pushed along sun swept streets. one in this photo. Such elegant vehicles were made just down the way at the Gendron factory on Richmond Street East. 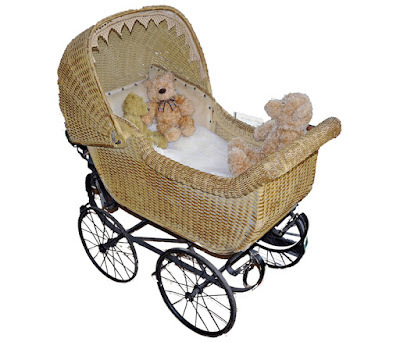 Charming teddies often accompanied the human cubs. 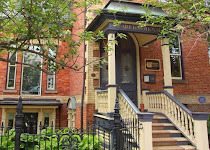 For more Cabbagetown history, photos and videos visit the CRPM Facebook page. 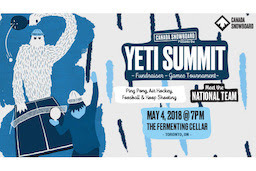 An interactive, charitable games tournament sponsored by the Canada’s National Snowboard Team. Ping pong, giant foosball, air hockey and hoop shooting. Play individually, in teams of four or in a VIP team of three together with a national team member. All day on Friday May 4 from 9 am to 7 pm, Fermenting Cellar (28 Distillery Lane). 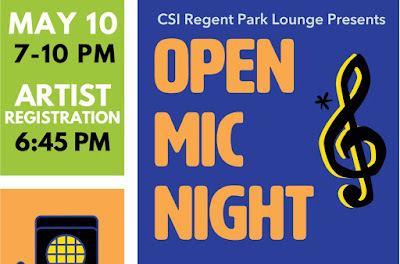 Open Mic in the CSI Regent Park Lounge (585 Dundas E). 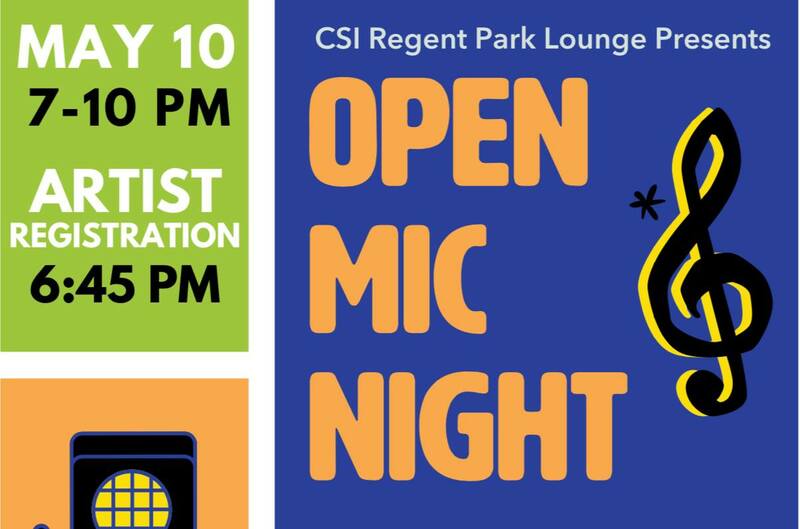 Thursday May 10, 6:45 pm registration and 7 pm event. All artists are welcome. Free - food, drinks and alcohol are available for sale. The Winchester Park Residents Association is having a general meeting on Wednesday May 16 at 7 pm in the party room in the Hugh garner Co-op (550 Ontario, 8th floor). The candidates for the Greens, Liberal, NDP and PCs have been invited - it should be a lively evening. Our bienniel garden tour returns on Sunday June 3 from 10 am to 3 pm. It’s a big event in our community. The list of gardens hasn’t been released yet. Tickets are now available locally at several outlets - $20. Blooming Flower Bar (559 Parliament), The Epicure Shop (473 Parliament), Fairway Garden Centre (520 Parliament), Kendall & Co Interior Décor & Design (514 Parliament), Spruce Home Decor (455 Parliament), Mi Casa (238 Carlton) and Jay’s Garden Centre (360 Gerrard). 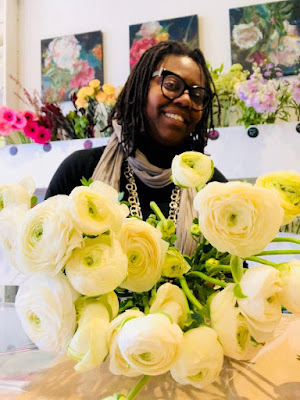 Outside of Cabbagetown, they can be purchased at East of Eliza (1960 Gerrard E at Woodbine), Greenery Patch in the St. Lawrence Market and Sheridan Nurseries (2827 Yonge at Glencairn). Lindsay Matheson and her four-year old daughter put posters up around town with a special message urging us to “savv the shrks”. Nic and Evan replied with a special poster of their own. Lindsay says, “Look at the poster we spotted today on our walk home, hanging under one of her original posters! It warmed my heart to know how much people went out of their way to respond to her.” Thanks Lindsay. Sunday, May 13 from 10 am to noon. 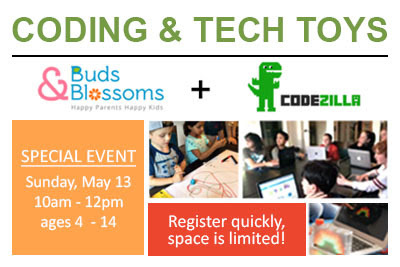 Buds & Blossoms (517 Parliament) presents Coding and Tech Toys - two workshops introducing children to STEM-based learning, organized by Codezilla Kids. Tech Toys (for ages 4-8) is an opportunity for children to play with a variety of award-winning tech toys, apps and robots that introduce them to early computational thinking. Game Makers (for ages 8-14) is for future coders who love to play. Kids learn how to code cool video games and animation with Scratch software. Coding helps promote problem-solving, logic and math skills. $25. For more info about each workshop and for tickets, click here. 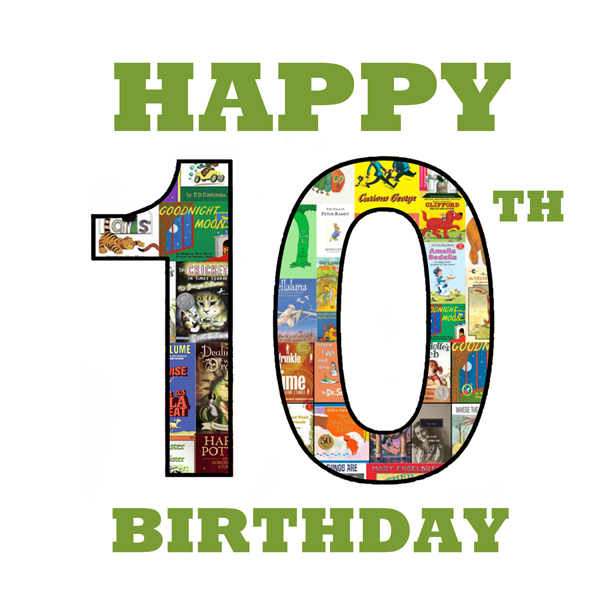 The Children’s Book Bank (350 Berkeley) celebrates a big birthday on Saturday May 5. You’re invited. The party happens from 1 to 3 pm with a scavenger hunt, special crafts and lots of cake. 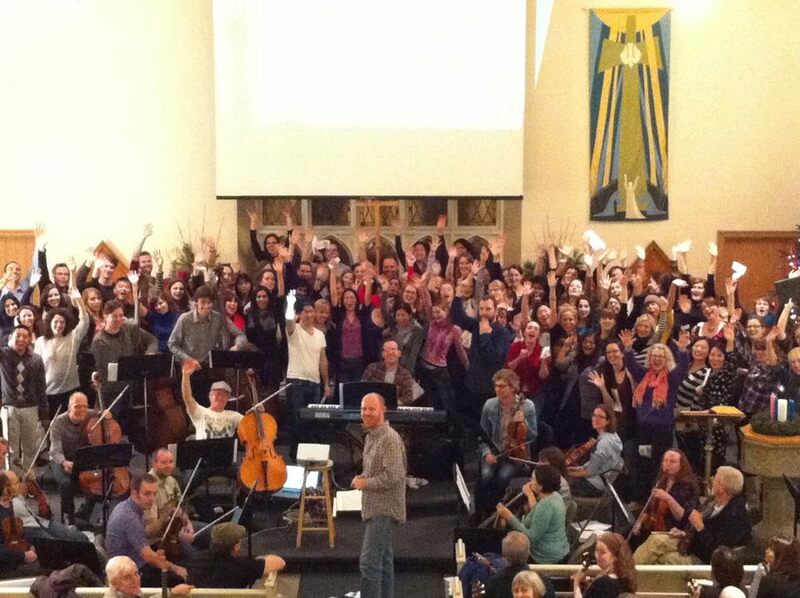 Congrats to everyone - you’ve been a wonderful part of Cabbagetown’s life. Best wishes or your next ten. 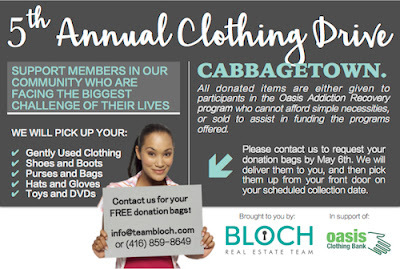 Daniel Bloch and Liora Tal have organized their fifth annual clothing drive on behalf of the Oasis Clothing Bank. It happens on Saturday May 12. They’ll provide you with a special donation bag if you notify them by Sunday May 6. 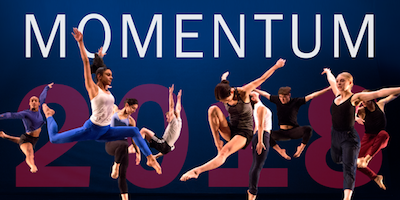 MOMENTUM is a main-stage performance of ensemble works with dancers from all three years of the Professional Training Program at the School of Toronto Dance Theatre (80 Winchester). Performances on Friday May 4, Saturday May 5, Thursday May 10 to Saturday May 12, go to Eventbrite. $15 and $20. Box office and performances - 80 Winchester. The Fun Fair happens on Saturday May 26 from 11 am to 3 pm at Winchester Public School (15 Prospect). Volunteers are needed to help during the day at the Fair - shifts are one hour long. Help is also needed for the set-up from 9 to 11 am and for the take-down from 3 to 5 pm. The Fun Fair also needs sponsors to support the day with a donation. Two new safe injection sites have just opened - one in Kensington Market and another in the Regent Park Community Health Centre (465 Dundas at Parliament). The Moss Park tent site was also approved under this program and is looking for an indoor location. 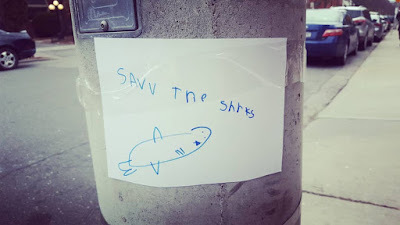 Click here to read Ryan Patrick Jones’ story on CBC News. The BBC has prepared a short video about Regent Park’s revitalization. 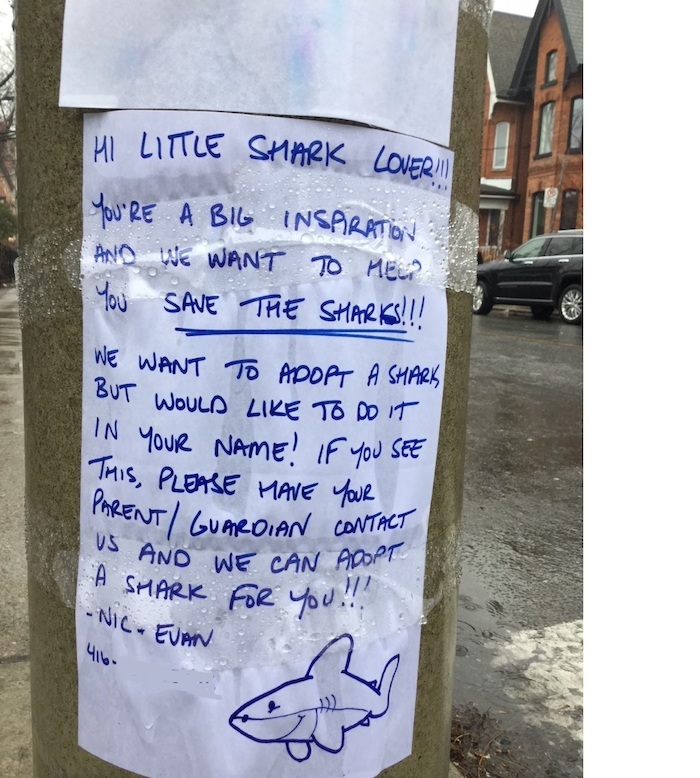 It’s described as a daring social experiment. To see how they see us, click here. 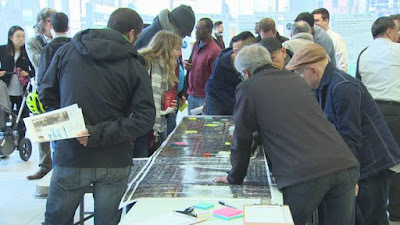 CBC News posted an online story about the proposed TTC relief subway line. 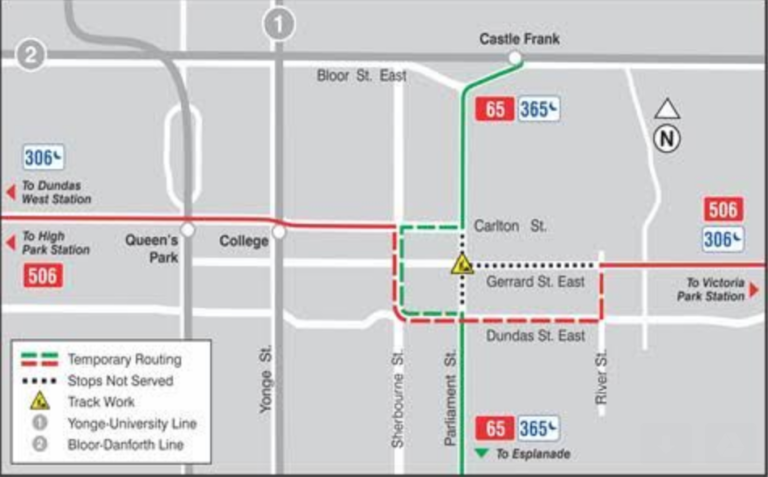 The TTC and Metrolinx have started consultations on a downtown relief line for the subway. The first consultation was held on Saturday April 28. Officials from the City of Toronto, the TTC and Mayor Tory answered questions about the impact of construction activity. Click here to read about the meeting. 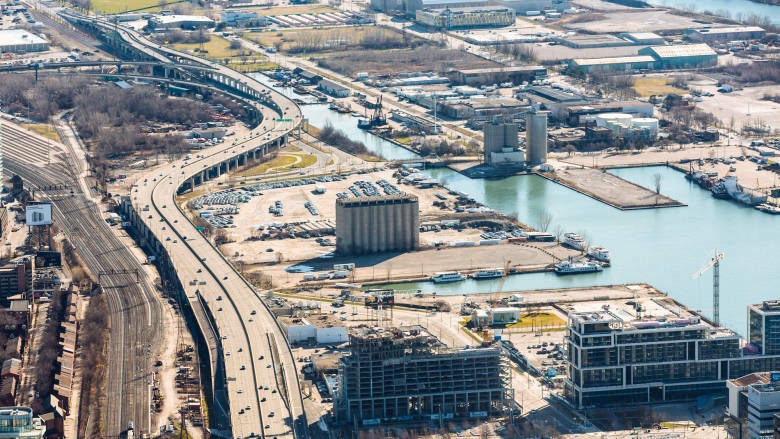 The huge development by Google and Waterfront Toronto along the lake has become the focal point for serious privacy concerns. There’s a public round table, the second in a series, to get our ideas and reactions to their plans for a new waterfront neighbourhood. For details about the agenda, click here. Daniels Spectrum (585 Dundas E), Thursday May 3, 5:30 to 9 pm, free. CBC News has an article about the concerns that have been expressed prior to this meeting. Click here to read it. 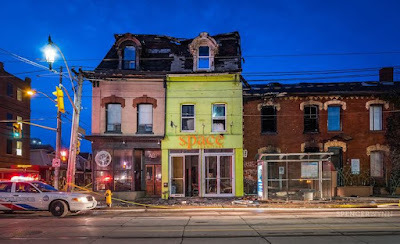 Three local landmarks at Sumach and Queen - Savoury Grounds coffee shop, Space Furniture and an accounting office - were destroyed in a fire on Tuesday April 26. You can view CTV’s news clip here. Kendall & Co (514 Parliament) has a great idea for this Sunday’s Forsythia Festival. Why not bring these bouncy animals to Wellesley Park for this annual playdate with friends and neighbours? Marilyn returns for her monthly nail clinic at Pet Valu (240 Carlton). Bring in your dog for a clipping and get ready to strut your stuff with your pooch at the Forsythia Festival. cats and other lovely pets are welcome too! 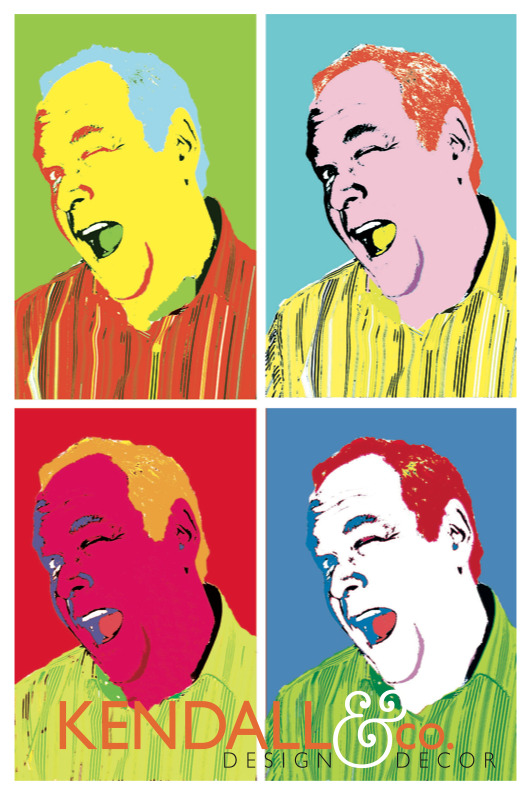 $10, 10 am to 4 pm, Saturday May 5. 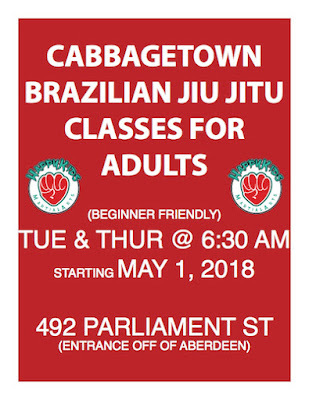 Happy Kids Martial Arts (492 Parliament - side door) is expanding into an adult program. 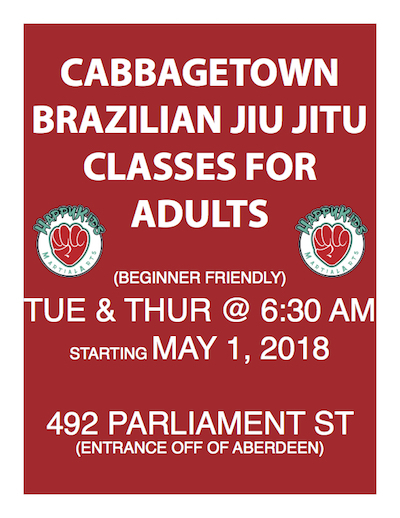 Every Tuesday and Thursday at 6:30 am, they’re offering a beginner’s class. Drop in to the school to sign up. 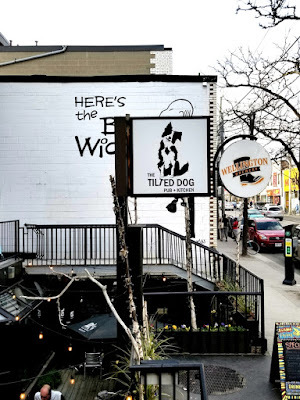 The Local GEST (424 Parliament) has changed its name - it’s now The Tilted Dog. You’ll find familiar faces there. Tiffany and Sean are still managing it. There’s a spiffy logo and a new website. 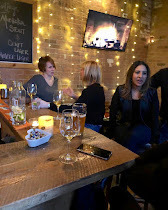 Some events are still the same - Jazz still happens on Sunday afternoons, trivia on Wednesdays and live entertainment with Jeff and Noah, Ethan O’Reilly and Evan on Thursdays. Check out the new website. The Irv (195 Carlton) has started work on its second location, Beer Batter Fish ’n Chips (200 Carlton). Reno’s are underway and the opening date is set for June 1. Best wishes for a big success. Kim and Betty shut their doors on Monday April 30. They were unable to reach an agreement for a new lease with their landlord. Their comments on Facebook make it clear that they’re deeply upset. They’ll be missed - their restaurant enjoyed a wide audience across Toronto. 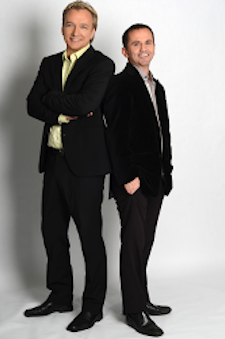 They approached their customers and their work with lots of goodwill and warm humour. Best wishes to them for their future plans. F’Amelia (12 Amelia) is again dishing up scrumptuous brunch on Saturdays and Sundays from 10 am to 2 pm. 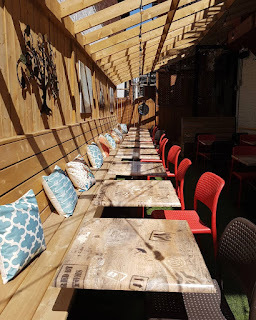 And warm weather means that its very pretty patio is now open. 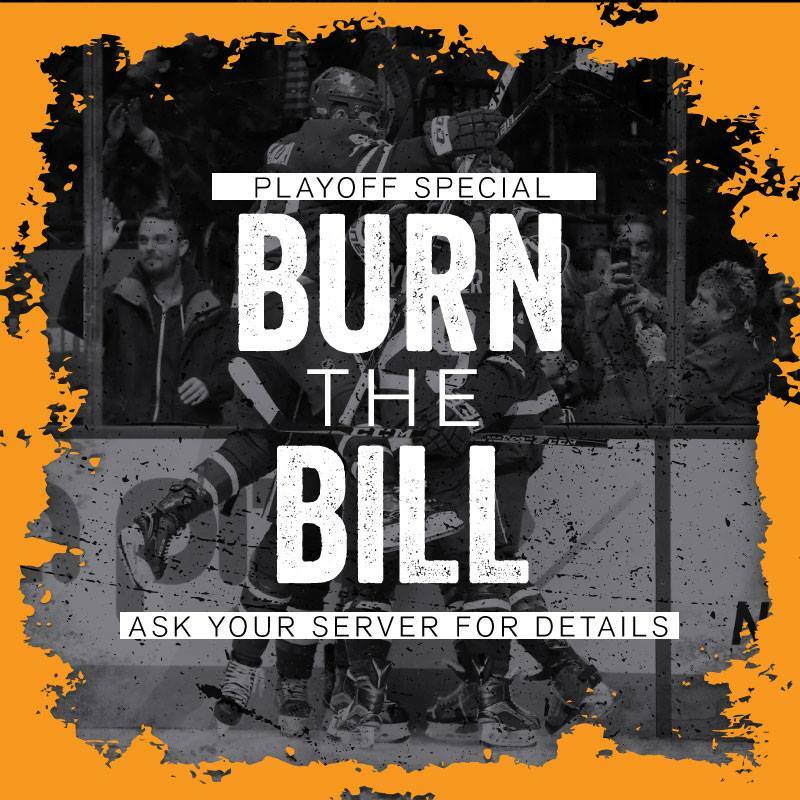 Call (416) 323-0666 for reservations. Stout Irish Pub (221 Carlton) has opened up outdoors. The Irv’s (195 Carlton) got its patio up and running too - good views of Carlton Street passers-by. These are great spots for soaking up the sun and sipping good beers. Mark from St Jamestown Steak & Chops (516 Parliament) has a couple of temperature tips for your best bbq experience. 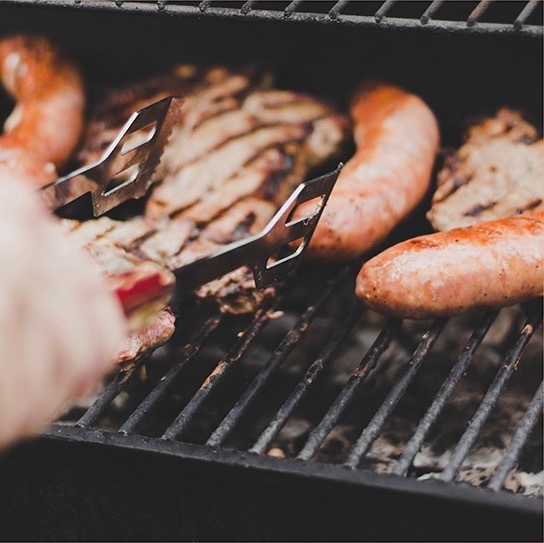 First - heat your barbeque for 15 to 20 minutes to settle it at the proper temperature and to kill any bacteria living on your grill. Second - make sure that your food sizzles when it hits the grill to seal in flavour and prevent sticking. Third - select temperatures between 400 and 450 for high heat, 350 to 400 for medium high, 300 to 350 for medium and 250 to 300 for low heat. Cyril’s home deliveries for the soups that made him so popular at his cafe. 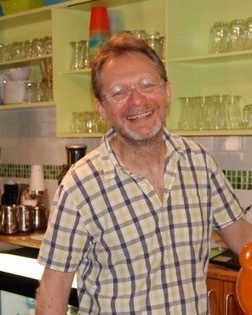 He’ll make two different soups in 24 oz/700 ml containers each week and deliveries will happen on Tuesdays and Saturdays (in Cabbagetown only for now). This week’s selections take a trip to the Indian peninsula - no passport or visa required. Tuesday May 8: African peanut and sweet potato. Saturday May 12: smoked tea and tomato. 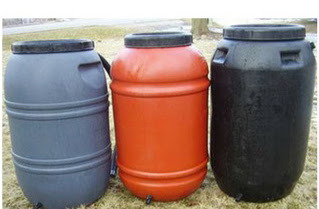 Containers are $9 each. For the next month, there’s a special offer - if you buy the two weekly soups at the same time, the containers will be $8 each. Taxes and delivery charges are included. They’re still burning your bill at three local pubs - as long as the Raptors hang in there. 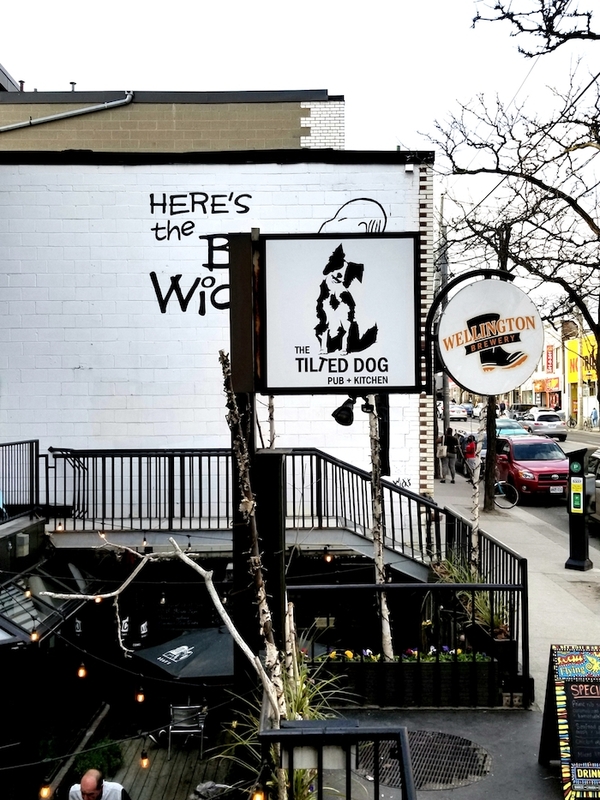 Drop in to the Dominion (500 Queen E), the Mill Street Brew Pub and the Mill Street Beer Hall (21 Tank House Lane, Distillery). Enjoy the games and maybe you’ll eat and drink for free. They did it after each Leafs’ game as well - didn’t help. Check out the current theatre and dance listings in the Theatre Calendar below. Addresses, online info and current events. For contact info about these clubs and restaurants, see the list at the bottom of this page. If there's a cover charge or tickets are sold, the prices are listed. We'll email you every week about our Newsletter. It's a convenient way to keep up-to-date. And please send us your announcements, reactions to our stories and suggestions for future stories. DIXONLICIOUS, THURSDAY MAY 9, 6 PM. Dixonlicious is the fundraiser that supports Dixon Hall’s ongoing food program. Live music. Silent and live auctions. Food stations from local restaurants and craft beer from local breweries. Daniels Spectrum (585 Dundas E). For tickets, click on the image. Celebrating 50 years of excellence, we are a leading Toronto contracting company. (416) 961-0065. Click on the image to reach our website. 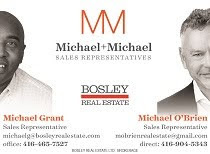 MICHAEL O'BRIEN & MICHAEL GRANT, BOSLEY REAL ESTATE. Three decades. Two agents. One remarkable team. (416) 465-7527. Click on the image to reach their website. Welcome to Amelia's Cottage - a cozy new bar next to F'Amelia. Snacks, pizza, fondu, good drinks. Visit our website - click on the image. 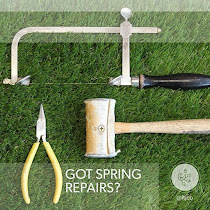 Cleaning out your jewellery box this spring? Do you have anything you want cleaned, polished, re-plated, or repaired? We can help you out. Stop by the store with your piece on a weekday or make an appointment for the weekend to have us review your pieces for repair @ftjco. Click on the image to visit the website. 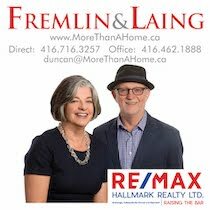 Serving Cabbagetown for over 25 years. Click on the image. 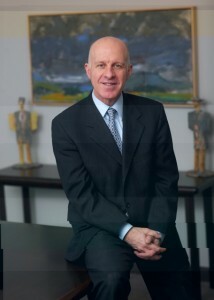 Services for individual and business clients including tax advice, accounting and consulting. We have advanced training, technical expertise and financial acumen. We continually invest in professional education and state-of-the-art computer technology. Click on the image to see our website. TONY LAFAZANIS, PERSONAL INJURY & INSURANCE LAW. 493 Parliament St, Ste 201, Toronto, M4X 1P3. Now open for lunch and dinner. 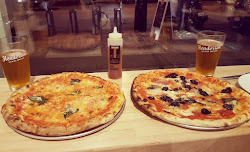 11:30 am to 9 pm daily, firing thin crust, Roman-style pies. Beer is on tap, wine is by the glass and hot honey is on the table. Click on our picture to visit us for our hours and menu. Kimberley lives and works in Cabbagetown. 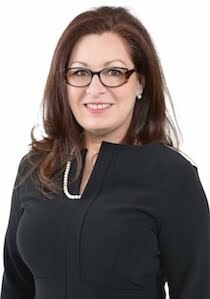 Her well-earned reputation is evidenced by her clients’ testimonials and her successful transactions. Click on the image to reach her website. Gold sponsor of the Forsythia Festival. 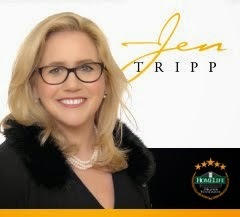 Jen Tripp has over 15 years of real estate knowledge in Cabbagetown. 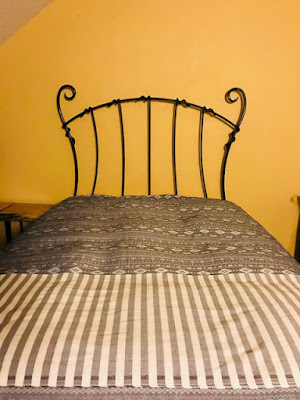 Click on the image to see Jen's current listing. 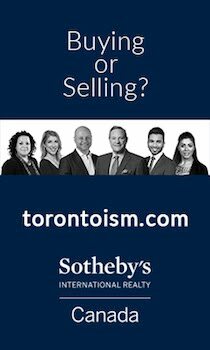 (416) 697-5528 HomeLife/Realty One Ltd, Cabbagetown's Brokerage. Gold sponsor of the Forsythia Festival. Residential and commercial interior design, implementation and project management. Awarded NOW Magazine’s “Best Interior Design” and “Best Design Shop” by all of Toronto. Visit our showroom for exclusive furnishings, lighting, art, wallpaper, rugs, floor coverings and window treatments. Mon to Fri 10 am to 6 pm, Sat 11 am to 5 pm. Click on the image. Gold sponsor of the Forsythia Festival. Call (416) 441-2888, ext 404. Click on the image to see their website. Transfer your RRSP or TFSA to Meridian and we’ll give you free money. Meet with an Advisor to talk about your financial goals and that chat could earn you a 1% cash bonus. 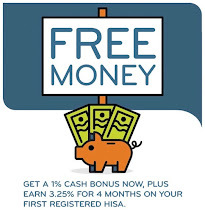 Plus, earn 3.25% for 4 months on your first registered HISA or 3.25% with our 18 month GIC. The RRSP contribution deadline is March 1st. Speak to an Advisor today or visit www.meridiancu.ca/RRSP to learn more *Terms and conditions apply; maximum cash bonus of $750. Click on the image to reach the website for Meridian's Cabbagetown branch. Hair styling for women and men. Save 20% on your first cut when you mention this blog. Devah works on Fridays and Saturdays. Call (416) 964-1050. Heidi Leverty and Christian Bernard Singer - Habitat, from March 28 to April 27. Click on the image to visit the website.